Need more information about booking Home 8603019 ? House SIROCCOS BEST LOCATION, BY THE SEA WITH AMAZING VIEWS, BEAUTIFUL SUNSETS FROM THE GARDEN AND SANDY BEACHES! House SIROCCOS is defined by its exceptional location on the peninsula of Stavrόs Cape, the amazing harbor view and its very large Mediterranean garden (12,000 sq.mtr), which provides you with privacy and tranquility. The nearby sandy beaches are unique for swimming in calm, crystal-clear waters and suitable for children. The perfect relaxing holidays you have been waiting for. 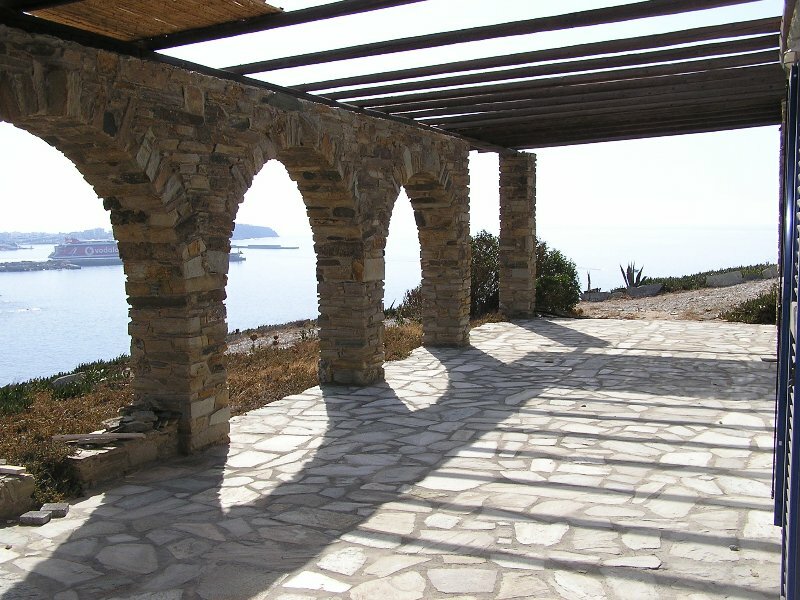 House SIROCCOS is walking distance to a beautiful beach and a 10 minute walk to Tinos town. This very comfortable house is on 2 levels each with its own veranda , bedroom and ensuite bathroom. I will be at the port to welcome you. I can give you suggestions of the best tavernas, beaches and any other information you would like this way making your holiday on the beautiful island of Tinos a perfect one.